Have you ever taken notice of the amount of music you listen to everyday? Music is everywhere! The 21st century and its technology have granted us the opportunity to have an easy access to music, constantly enhancing the impact it has on our daily lives. 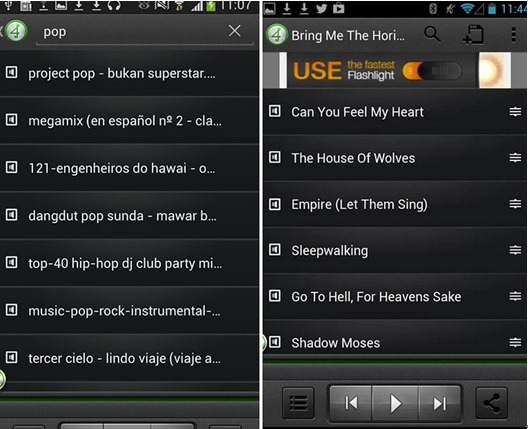 In this article, we'll show you the best music app for Android devices to stream music, download music and play music. This is one of the most sought music streaming apps on the market right now and personally my favorite streaming app in its free form. Spotify offers you an extremely wide variety of music with several options like Start artist radio, Add to your Music and Add to queue. 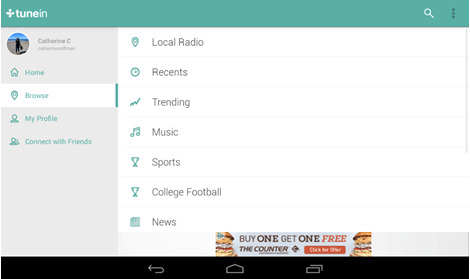 The app gives you the opportunity to create your own playlists, though with the amount of playlists it offers. I'm sure you can find whatever you're looking for. These are just some features the app possess, there are many more so go and find out for yourself! Whether you use the free version or the paid version, you'll be satisfied with Rdio Music. You can enjoy unlimited stations based specifically on the artist or song that you choose, also giving you the opportunity to discover similar music. 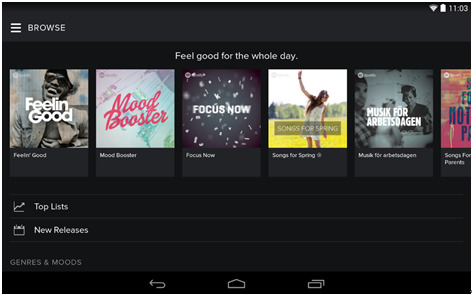 You can create your own personalized playlist or choose one depending on your mood. 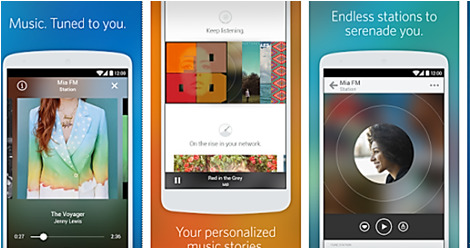 Rdio Music will not leave you empty-handed! You needed something to alleviate the boringness of your everyday tasks? Deezer is here to save you! 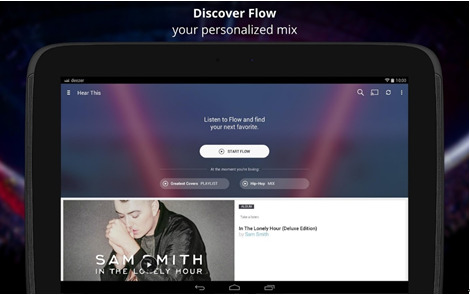 The Flow characteristic was designed with the particular intention of personalizing the music you listen to based on your likes and dislikes. You can be certain every song you listen to will make you feel like it was created only for your ears. While the apps listed above share similarities in their design, TuneIn Radio offers a completely different way of brightening your day. This app focuses on supplying you with a daily dose of your customized radio station and podcasts. Different? Yes. Entertaining? Double yes! 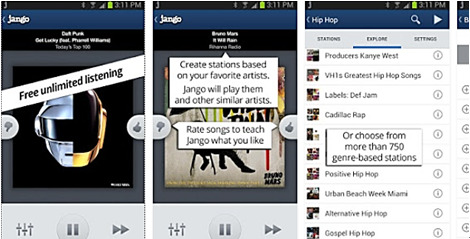 Rated 4+ stars on Google play, Jango Radio will immediately start personalizing your music stations even from the first tap. Gathering the information from the songs you like and dislike and the artists and genres you listen to, the app won't ever stop filtering stations and looking for similarities until you're satisfied. 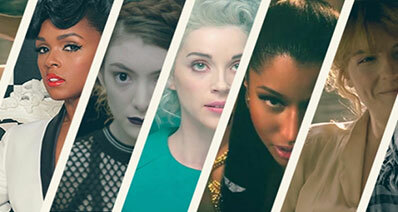 Music personalization at its best. Now you're equipped with music streaming. But the rest? I would even go so far as to say finding a good Music Downloader app felt like mining. Lots of digging around, few diamonds. So after spending a handful of hours searching an endless app list thoroughly for you, we can say we found a pot of gold at the end of the rainbow. Can't stream music? No problem! 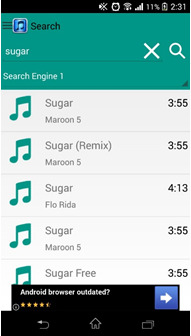 4Shared Music gives you the opportunity to download your own selection of music to your phone directly. That way, you can carry your music everywhere with you without the need of Wi-fi or cellular data. By HomingLLC, this app will also be your lifesaver in times of need. Just search the song or artist you want and download! Can't find a certain song? Don't worry, just change the search engine. As simple as that, you're good to go and enjoy. 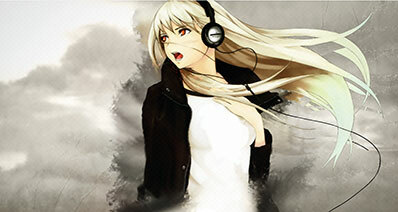 With its simplicity there's no way you'll go wrong with MP3 Downloader. Another great but simple app for music downloading. 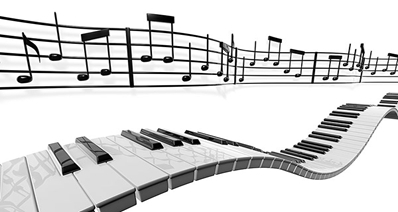 You can find your music instantly with the aid of its Advanced Search Engine. 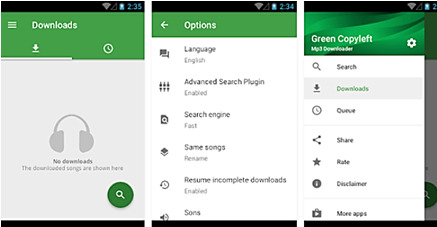 Besides giving you the option to search between engines, you can also rename song with the same name to avoid them getting mixed app. It seems like all your problems are solved, right? Tired of your old ringtone? Up for a change? 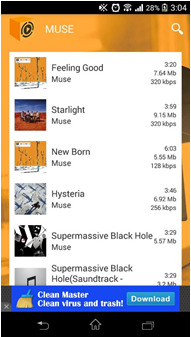 MusicBox Orange does both, it downloads your music and lets you set it as your ringtone instantly. We have no doubt you'll like such a well-made interface offering everything you're looking for. Who wouldn't want the perfect combination between design and functionality? 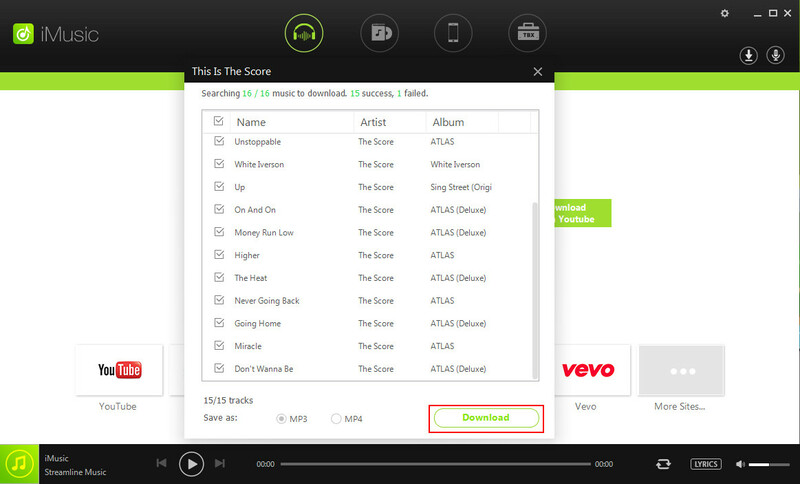 Last but not least, Music Download Mp3 Pro is the perfect app to download your music at lightning speed. It isn't only a downloader, the app is also a music player so you don't have to switch apps. What more could you ask for? iMusic is the software that integrate all the features you need into one: discover, download, record and transfer music. And it is fully compatible with Android operating system and iOS.